Fritted glass funnels are used for vacuum (suction) filtration. They have a porous (fritted) glass disk in the middle that allows filtrate to drain through while leaving solids behind. They are more convenient to use than Buchner funnels because there is no filter paper to worry about, but they are harder to clean. Fritted funnels come in a variety of sizes from 2 mL to 2 liters or so. The most common useful sizes are 10, 30 and 60 mL. To use a frit, first select a rubber vacuum adapter(s) of proper size (below, left; you can order a set of these "filter flask adapters" from Fisher Scientific, part number 10-184). DO NOT use a one-hole rubber stopper (below, right) because inserting/removing these is difficult and can lead to broken glassware as well as personal injury. To filter, put the adapter and frit on a filter flask (side-arm Erlenmeyer flask). Notice in the picture on the right that the flask is securely clamped to avoid spillage and breakage (frits are expensive). Frits require special care, so be sure to read the General Tips below before using one, and always be sure to clean your frits properly. 40 - 60 Coarse filtration, adsorption, gas washing, gas absorption. -- Coarse filtration, adsorption, gas washing, gas absorption. 170 - 220 Coarse filtration, adsorption, gas washing, gas absorption. A general rule of thumb: The finer the porosity the longer it takes to perform the filtration. A medium frit is ideal for almost all your laboratory work.
) on the frit. Wet the pad with your solvent and then filter your solution, taking care not to disturb the Celite layer. If your filtration slows down or stops you can simply stir the topmost layer of the Celite pad. Avoid filtering charcoal solutions on a frit unless you are using a thick Celite pad. Carbon does not clean out of your frit using acid, base or solvents and can only be removed by heating the frit in a furnace at 480 degrees C in an oxidizing atmosphere. That's a lot of work unless you have a special oven for cleaning glassware. Thermo Scientific sells Pyro-Clean® controlled atmosphere ovens which appear to be a convenient way to remove otherwise intractable organic residues from all sorts of glassware, including frits. If you clean your frit as soon as you are done with your experiment it will be MUCH easier to clean. If you are using your frit to collect a product, be careful not to scrape the frit too hard with your spatula. This can damage the frit as well as contaminate your product with small glass particles. Never soak your frit in a base bath (see below). 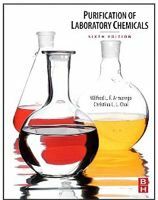 Purification of Laboratory Chemicals is one of many books and pamphlets you'll find at Safety Emporium. There are many different methods used to clean frits. One older method uses a chromic acid solution (Chromerge etc.). However, this method should be avoided as Cr(VI) is an environmental pollutant. Avoid soaking your frits in a base bath solution. These eat away at the frit and can make it extremely brittle or even dissolve the frit itself! Remove all residues from the frit (Celite, precipitates etc.) and dispose of these in appropriate waste containers. Scrub off any remaining residue with a brush or KimWipe, taking care not to damage the frit. Clean the frit using appropriate solvents (water, acetone etc.) and vacuum filtration.
. Always make sure that your cleaning solution is compatible with the chemical residues on your frit! Use vacuum filtration to wash the frit thoroughly with distilled water, dilute ammonium hydroxide (if you used acid) and distilled water. If a frit runs slowly or is still clogged after this cleaning procedure, you can try pulling a dilute HF solution through it or let it soak in a base bath for several hours. CAUTION: TAKE CARE NOT TO MIX INCOMPATIBLES DURING THE FRIT CLEANING PROCESS. Do not pull acetone (or other organics) and sulfuric acid (or hydrogen peroxide) into the same filter flask. This mixture will explode and cause serious injury or death. Always keep organics and acids separated during the cleaning process. Always wear proper personal protective equipment such as goggles, a lab coat and apron when cleaning frits with acid. Accidents tend to happen most commonly when you are "just cleaning up" and become lax about the possible dangers involved. Some people use "piranha solution" (sulfuric acid + 30% hydrogen peroxide) to clean frits. This method is exceedingly dangerous and has resulted in many serious laboratory accidents and injuries. Read this firsthand accident description (the last post in that document) and you will understand just how dangerous it is. NEVER use it.